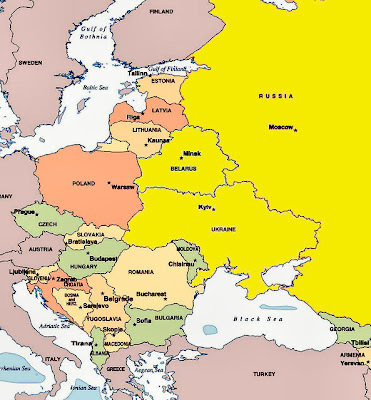 KIEV, Ukraine -- President Viktor Yanukovych has flatly rejected the proposal that Belarus, Russia and Ukraine establish a single state with Kiev as its capital city. Proposed Russian merger of Ukraine, Belarus and Russia was rejected by Viktor Yanukovych. “Is there any right to discuss the matter? For me, the president, there isn't any,” Mr. Yanukovych’s press office quoted him as saying on April 1. Closer integration with the European Union is Ukraine’s strategic goal, the president said. Earlier this month, a leading Russian lawmaker submitted a plan to his Ukrainian counterparts for the three countries to unite by 2020. Yevgeny Fedorov, a deputy head of the ruling United Russia party and of the economic policy and business committee in Russia's lower parliamentary house, said that the plan would bring prosperity to all three states. He submitted the proposal to the Verkhovna Rada (Ukraine’s parliament). “I would like everyone to remember this,” he added. Mr. Federov earlier said that many Ukrainian and Russian politicians had supported his plan, which would be elaborated in four or five months. “Together we will be richer," the lawmaker said. "This union could allow us to surpass the living standards of the richest European countries." Uniting the countries would boost per-capita purchasing power, expand the middle class and raise life expectancy to 75 years, said a copy of the plan titled "From Historical Unity of the People to a United State" obtained by AFP. Mr. Fedorov said that negotiations could take up to five years. Ukrainian Deputy Prime Minister Borys Kolesnykov, a leading member of the new government of President Viktor Yanukovych, earlier expressed skepticism over the idea. This proposal was submitted first and foremost by Mr. Federov and if you study his background he is a very sharp and shrewd operator--also talented and intelligent. 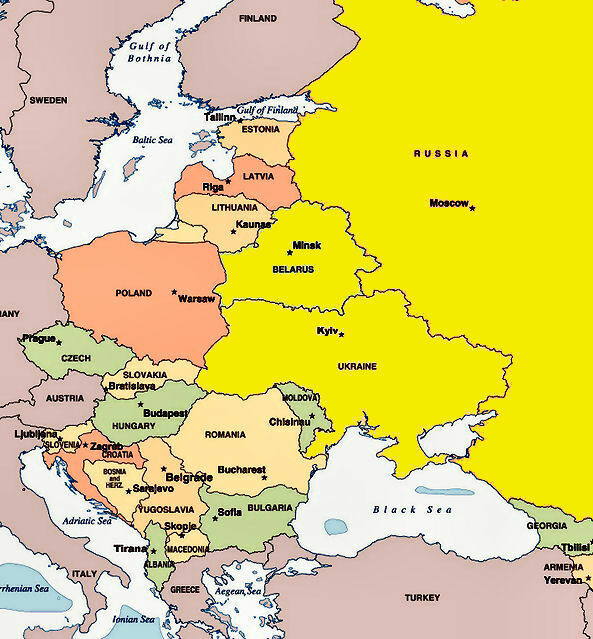 ...But at the end of the day just think a merger between Ukraine-Belarus and Russia!!! ...It doesn't even make sense no matter how profitable it could be but in the end it would be another assimilation back into Russia which is not what the UKRAINE and BELARUS are about now at this point in their history--2010.!! Times have changed and so have many ways business and diplomacy are conducted. ..They can conduct business and diplomacy with Russia but should maintain their indepdendent sovereignty. I respect President Yanukovich on this matter and the manner with which he worded it..PERFECTLY CLEAR. easier and more sensible process. important after recent years of constant change..
..STAY on the correct path and win. Wes Rodgers patriotstv.com THE PHILADELPHIA BULLETIN.